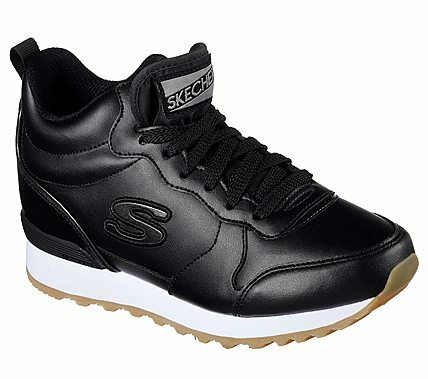 Get that clean, classic look for the season with the SKECHERS Originals OG 85 - Street Sneaks shoe. Smooth leather or nubuck leather upper in a lace up classic high top hidden wedge sporty jogging-style sneaker with stitching and overlay accents. Air-Cooled Memory Foam insole.